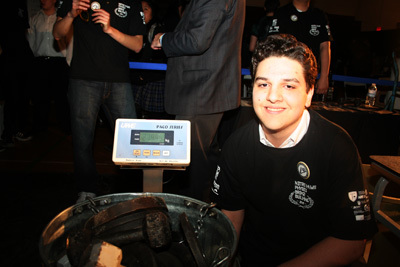 At the 31st annual contest, held March 15 2011, a ten year-old record was broken as Physics 12 student Gino Circo, the winner of the 2010 contest, blew past the previous mark to set a new record of 219.95 (rounded to 220.0) kg. The previous record had been deemed out of reach by students for the past decade. 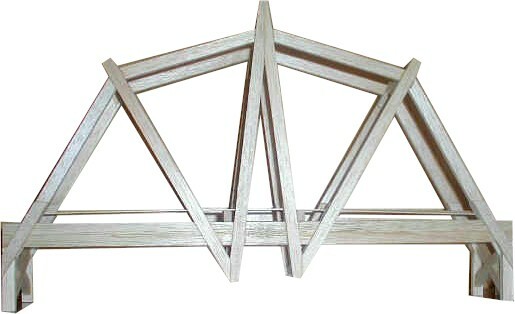 Gino's bridge, based on his successful structure design from his entry in his Physics 11 year, was copied by others but none of those structures were up to the standards of construction set by this graceful entry. 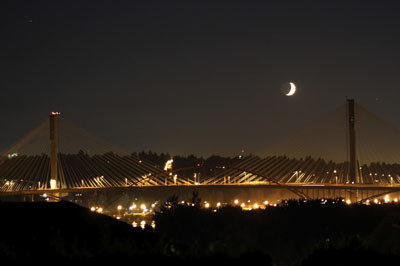 At the right is pictured the new Port Mann Superbridge (a cable-stayed structure) with the original steel arch bridge in front). 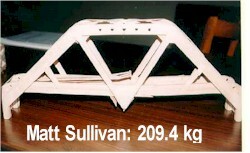 Previous record-holding 100-gram bridge built in 2000 by Physics 12 student Matt Sullivan. This photo was taken after the bridge was put back together from the remnants. A portion of the roadway is missing. In an attempt to reduce overall mass several holes were drilled in the upper portion of the structure. Typical preparation before testing. Bridge is carefully placed on testing beams and testing apparatus is gently lowered into place. Cable in foreground was used to transmit live webcam feed during testing. Matt Sullivan with his award-winning bridge at the trophy presentation ceremony. The trophy, held here by sponsoring teacher Peter Vogel, has been presented annually since 1981. 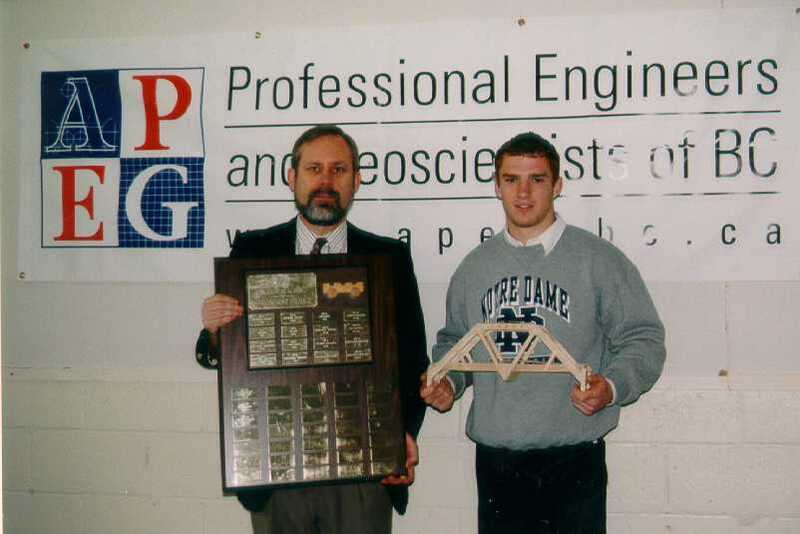 APEGBC, the professional body that governs engineering in this province, has been a contest sponsor since 1999. In 2001 we welcomed Dofasco Steel as a sponsor. For 2002 we welcomed CSCE, the Canadian Society for Civil Engineering, the UBC Engineering Physics program, GlobalIntercom.com and SFU's School of Engineering Science as sponsors. 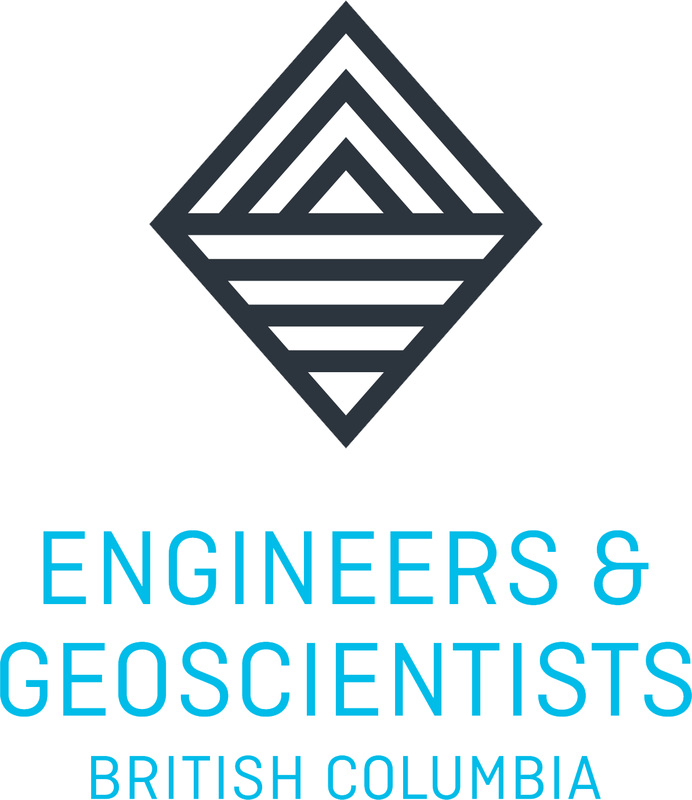 More recently we have added Buckland and Taylor, one of Canada's most famous bridge design firms, SRC Engineering, Hatch Mott MacDonald, Stantec, FortisBC, The British Columbia Institute of Technology (BCIT) and the Applied Science Technologists and Technicians of BC. Visit our sponsors' page for further information. This contest has been held annually since 1980. 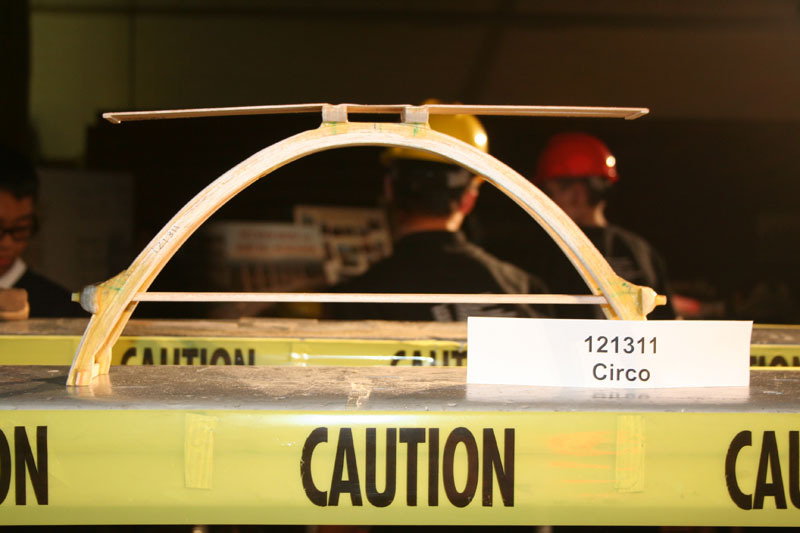 Hundreds of bridges have been tested. 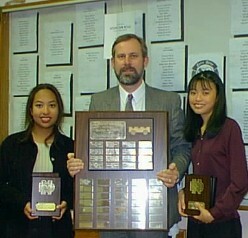 The students who take part in the contest are enrolled in either Physics 11 or Physics 12 at Notre Dame Regional Secondary School in Vancouver, BC, Canada. All physics students at Notre Dame take part in the contest. 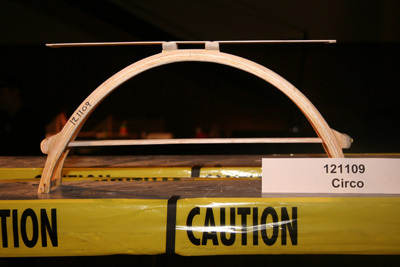 While there is an evaluation component to the contest, the primary aim is for students to experiment with materials, in this case balsa wood and glue, and learn about structure and strength. Instructors wishing more information on the contest, in particular on the way it is run, may wish to contact me directly. A package of materials is available for instructors at a nominal fee to cover photocopying and shipping costs. A contest such as this is relatively straightforward and inexpensive to offer. There is no need for any "sophisticated" testing equipment.